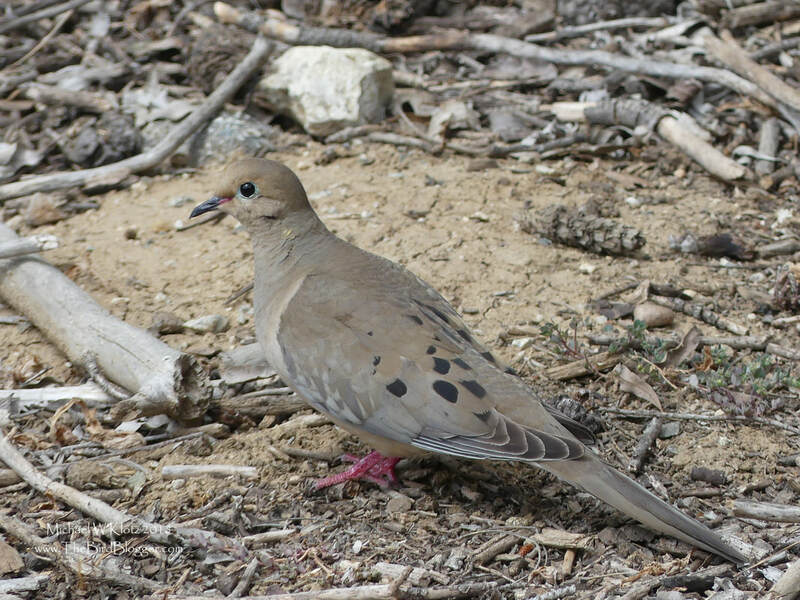 Mourning Doves are very well camouflaged on the ground in an among the backed clay and twigs, but when you get to have a close look at the subtle colors, They are intriguing. The red feet and base of the bill with the small iridescent patch on the neck and the light hint of blue around the eye. It is very rare that they let you get close enough to see the highlights. This shot was taken in the South Coast Botanic Gardens next to the dry lake bed where they are year round in the open country.